The National Junior Honor Society at Oldfield Middle School in the Harborfields Central School District recently completed a schoolwide coat drive. Students throughout the school were all encouraged to bring in at least one coat. 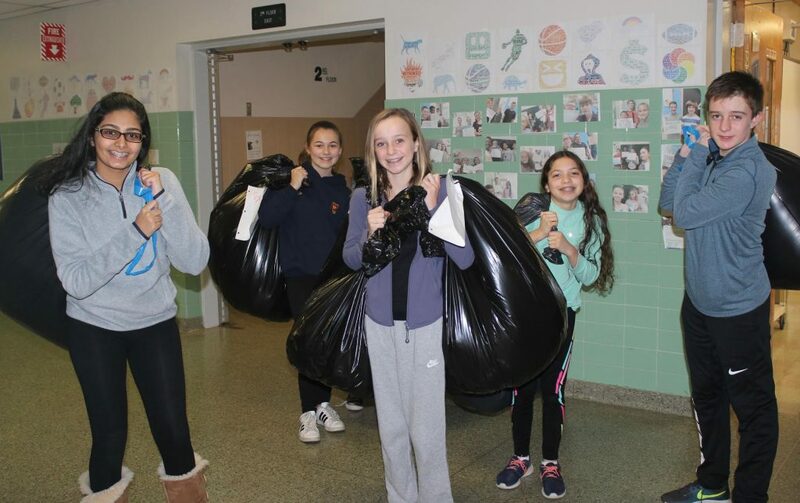 After the drive ended, students met together on Dec. 5 to sort the coats by size and gender, and filled up more than 18 black bags, which were then delivered to Our Lady Queen of Martyrs church in Centerport to be distributed to those in need this winter season. The students were very proudto give back to the community. Photo Captions: Eighth graders Isha Dave, Caitlin Rees, Caitlin Fealy, Gillian Storch and Jacob Siegel from Oldfield Middle School’s National Junior Honor Society were excited to have collected more than 18 bags of gently used winter coats for those in need this December.